Can I get away with glittery heels? I may have to try and ask Santa for these beauties. The Miu Miu Glitter Pump comes in gleaming shades of orange, pink, blue and fuchsia. They retail for $650.00 and are available now at Miu Miu Boutiques Nationwide. 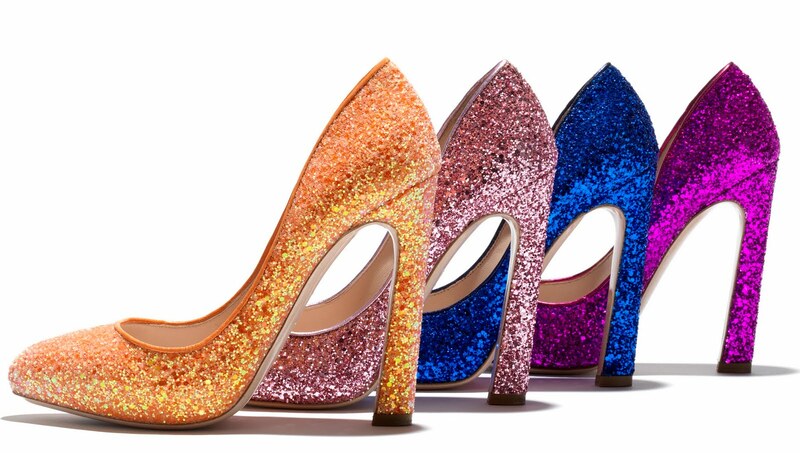 I would so have a Wizard of Oz moment in these, clicking my heels 3 times and all...so delicious!